How to Remove Autorun.inf Virus Without Any Softwares? You might be knowing the Line is another great instant messaging app available for Android smartphones. But today I am going to show you how to download Line for PC and use it to chat with your friends who already had it installed on their smartphones. This instant messaging app is completely free to use and is available on almost all the platforms including Android, iOS, Windows, BlackBerry and Nokia as well. But if you still want to use it on a bigger screen that it on your PC or laptop then here you can see how to download Line for PC and use it from the big screen. How to Download Line For PC or Computer? To download Line on your computer and install it, you need to download Bluestacks App Player for Windows on your computer. Once you have download Bluestacks app player, install it on your PC. Now open Bluestacks and there you will find a search box. In the search box, type “Line” and install the app on your computer by clicking on the link in the search results. Now you have successfully installed Line on your computer. 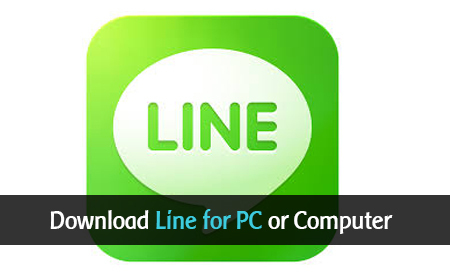 You can even download Line for PC directly without the use of any apk file. Line has launched their service for computers, both Windows and Mac. Once downloaded, install it on your computer and choose a path to store the important data of the app. Once installed, you will have to register your email address. To do this go to Settings > Email Registration. You now have the app running on the PC. That’s it! Now you can enter the details like your mobile number and create an account. You can do all that by launching the app and you will easily understand what things you need to do in order to get the app going. Multi-platform as you can use it from smartphones as well as from PC. Real-time confirmation to send and receive messages. Allows you to share your current location. NFC feature to add friends by shaking your device. Send texts, audio, videos and many other stuff from the app. Create and join the groups and chat with multiple friends. So Will You Download Line for PC? Now that I have shared with you two different ways to download and install Line for PC, will you use the instant messaging app from your computer or continue using it from your smartphone only. Let me know what you think of the article and whether you have already downloaded Line on your computer or not? I would love to hear from you about your experience on using Line from your computer. Read: How to Root Samsung Galaxy S Duos S7562? So guys do share your feedback on Line for PC and if you have not already installed it on your computer right away!